Forest farming in North America is becoming a popular practice that provides short-term income for owners of new forest plantations while their trees reach maturity. This income diversification is particularly relevant for many of the Indiana hardwood plantations planted in the last decade, but will not fulfill their economic potential until 60–70 years from establishment. This free download publication titled Costs and Returns of Producing Wild-Simulated Ginseng in Established Tree Plantations, FNR-530-W, is the second in a two-part series aimed at analyzing economic opportunities in forest farming for Indiana forest plantation owners. 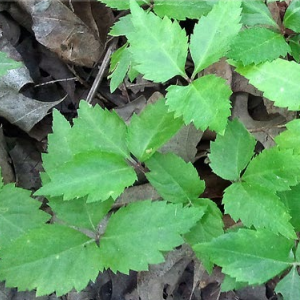 The first study explores growing hops along the tree line of newly established forest stands, while this second study investigates producing American ginseng in older (20- to 30-year-old) forest plantations.